As more people are travelling beyond their means, other people are looking for something sustainable by living and working in a foreign place. Why work hard putting together an itinerary on how to visit Spain like a local when you can just become a local? Here are your four main steps to getting a Spanish passport so you can come and go as you please. When choosing your Spanish passport, you have four main options to choose from. If you're looking for a standard biometric passport for regular travel, you should apply for a standard one. If you're organizing a pilgrimage or a large group where you have written documentation from the country you're visiting, apply for a Pasaporte colectivo. When you're traveling for work, you may have a passport provided or one that you need to get on your own. For diplomatic work, there's a pasaporte diplomatico that diplomats and government officials get. If you're hired to represent the Spanish government, you'll apply for a pasaporte oficiales y de servico. 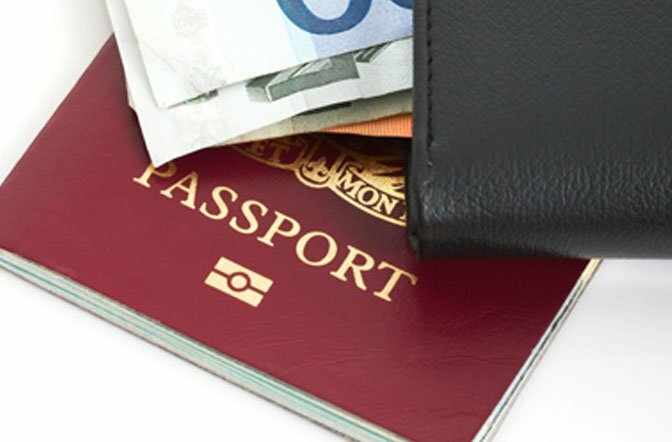 Your passport offers a variety of benefits, so you need to ensure that they suit what you're looking to do. If you need to come and go as you please for a period of time, or as long as your passport is valid, that's a reason to apply for one. If you're aiming to travel around the world as a Spanish citizen, that's another reason. Getting a visa to foreign countries is a pain, especially if you're just visiting or in the country in between flights. However, as an EU citizen, it's not as hard. With a Spanish passport, however, you get to travel to 156 countries wither without a visa or able to get one on arrival. Eligibility requirements depend on your citizenship status. If you're looking to apply for citizenship as an EU or Briitish citizen, you'll need to have 10 years of residence. If you're married to a Spanish citizen or have a parent from Spain, that can speed things up. So long as you can speak the language and don't have a serious criminal background, you should be able to get one. If you've established a home beyond a vacation rental, all the better. There are a few places you can apply for your Spanish passport. You can go to the Spanish Ministry of Foreign affairs or if you're in the UK, you can go to the Embassy of Spain or the Spanish Consulate. If you're already in Spain, even a local police station could help. Bring your current ID and a recent colour photograph measuring 36mm x 22mm. While you don't have to get a Spanish passport in order to get a taste of life there, it might help you get a better understanding. If you want to take an adventure before you get your passport, check out our guide to a romantic adventure in the country.